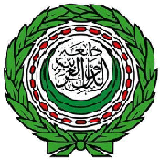 As part of the preparations for the Fifth Annual Meeting of the Arab Internet Governance Forum, which will be held in 2019, the Eleventh meeting of the Arab Multistakeholder Program Advisory Committee (AMPAC) was held on 4-6 December 2018, at the headquarters of the United Nations Economic Commission (ESCWA) in Beirut. AMPAC-11 meeting reviewed the latest updates on hosting the Annual meeting, and follow-up preparations with working groups for main themes of the Fifth Annual meeting, in addition to reviewing the work plan of the Workshops, Pre-event day and Fellowships working groups. What topics does the Arab IGF tackle?